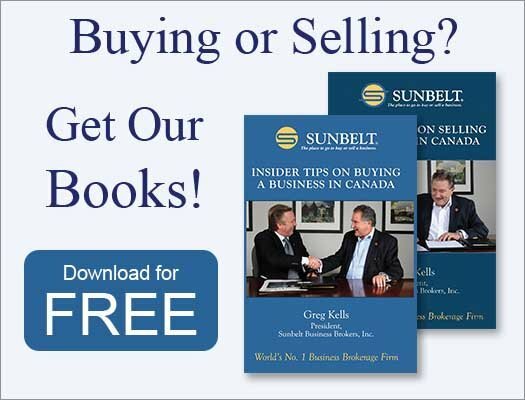 Selling a Business in Canada: We Wrote the Book on It! 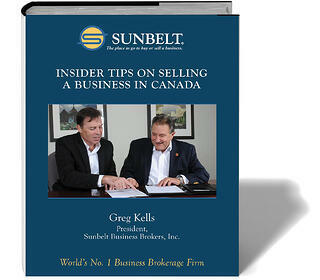 We have just published our first book—Insider Tips on Selling a Business in Canada, and what a great feeling! I believe that we cannot be successful until we have made the people around us successful. Likewise, if we can help enough other people to achieve their goals we will achieve ours. In our line of work, these "other people" are the men and women who a) own a business, b) want to own a business, or c) want to help business buyers and sellers through their professional services – business brokers, bankers, accountants, lawyers, wealth planners, business coaches, etc. Most business owners have spent many years pouring passion and hard work into building their business and it is likely the largest asset they own. While many count on the sale of their business as part of their retirement planning, they do not have a solid understanding of how to prepare for it or what is involved. They know how to run their businesses to make them successful. But they don’t how to sell one. And on the flip side, nine out of 10 buyers have never owned a business before. Both sides need coaches to guide and educate them. I am very fortunate to have had two great mentors in my business brokerage career: Ed Pendarvis and Tom West. Ed founded Sunbelt Business Brokers and built it into the world's largest and most successful business brokerage network. Tom, the grandfather of business brokerage in North America, launched and continues to nurture the International Business Brokers Association. Both are great tutors and writers and kind and generous men whose coaching has been instrumental in helping me achieve my goals. I wanted to draw on my expertise in business brokerage and connections with other well-informed advisers to provide practical and current advice to business owners in Canada on making their businesses sellable and maximizing after-tax proceeds from the sale. That was, in fact, the force behind At the Broker’s Table, an article series we launched in 2010 in the Ottawa Business Journal, and on which this book—Insider Tips on Selling a Business in Canada— is based. Our next book, which we hope to publish this coming March, will focus on Canadian buyers and what they need to know to buy a business that is just right for them. how to deal with offers, negotiations, due diligence and closing the transaction. Our web page for Insider Tips on Selling a Business in Canada lists all the formats and where to buy them. You can "look inside", the print and kindle versions on amazon.ca without any obligation to purchase. I am grateful for the successes and learning that 2012 has brought. Our many clients have kept us in business and each has increased our understanding as have their lawyers, accountants and professional advisers. I am also grateful for the sharing of experiences and knowledge among the many Sunbelt office owners throughout the world. And as I mention in the acknowledgments of my book, I would like to thank my wife, Gayle, who has put up with the evenings and weekends devoted to building Sunbelt, to increasing the professionalism in our industry, to educating business buyers, sellers, and brokers, and to this project. As we approach the end of 2012 and the start of 2013, I want to wish each of them and all of you A New Year of Health and Prosperity. JANUARY 2015 UPDATE: We are now offering pdf versions of both publications free of charge.